Career directories and databases from the Law Library. A companion to resources provided by the Career Development Office. These are guides to select resources, brought to you by the Law Library and the CDO. These resources will help you quickly determine whether a particular clerkship is appealing to you. The guide is designed to help you decide where to apply and provides the best sources for uncovering a judge’s profile, controversial cases or confirmation hearings, judicial temperament, and any disciplinary actions. 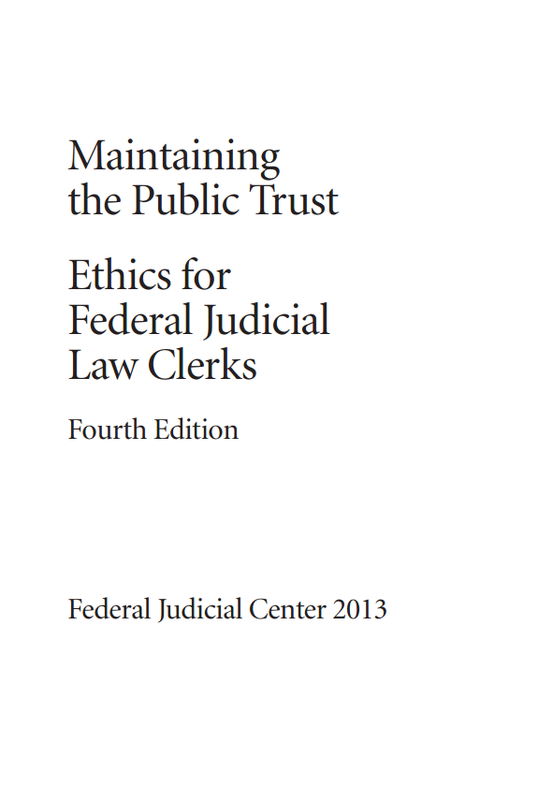 This guide assumes that you have already done the quick research steps from the Research a Federal Judge guide. These resources will help you prepare more extensively for specific interviews and provides the best sources for finding the judge’s opinions, reading about a clerk’s role, examining caseload trends, and following court news. Profiles, attorney evaluations, and summaries of noteworthy rulings and media coverage of all sitting federal judges. Volume 1 contains profiles of district court, bankruptcy court, and magistrate judges organized by circuit and district. Volume 2 contains lawyers' commentary about each circuit followed by profiles of the circuit court judges. Electronic versions of Leadership directory yellow books, including the Judicial Yellow Book. Directory information may include a judge's email address and names and contact information for a chamber's law clerks and staff members. Directory of all past and present federal judges. Search by name or create a custom list based on criteria including nominating president, type of court, and demographic groups. (Electronic & Print Resource) Directory listings of courts, judges, and clerks of court for all federal and state courts. Includes diagram and explanation of court structure for each state. Profiles of federal, state, and private judges in California, including summaries of significant cases and biographical information. Volume 2 covers California state appellate court judges. Listings for federal and state court judges. Federal district court section includes district court judges, senior judges, magistrate judges, bankruptcy judges, the U.S. Attorney, and the federal public defender. Biographical information submitted by federal and state judges. Federal appellate court overviews and biographies are followed by sections for each state, which include federal district courts, bankruptcy courts, and state courts. Profiles of sitting judges in all levels of federal and state courts. Over 4,000 listings for judges at all levels of federal, state, and administrative courts. Chapters organized by minority group and then further subdivided by state. Judicial Clerkships: a Practical Guide by Mary Dunnewold et al. 8 Legal Comm. & Rhetoric: JAWLD 239 (2010). Citations to books and articles covering: general clerkship resources, court guides/directories, the application process, the clerk’s role, the judge’s role, and judicial writing.